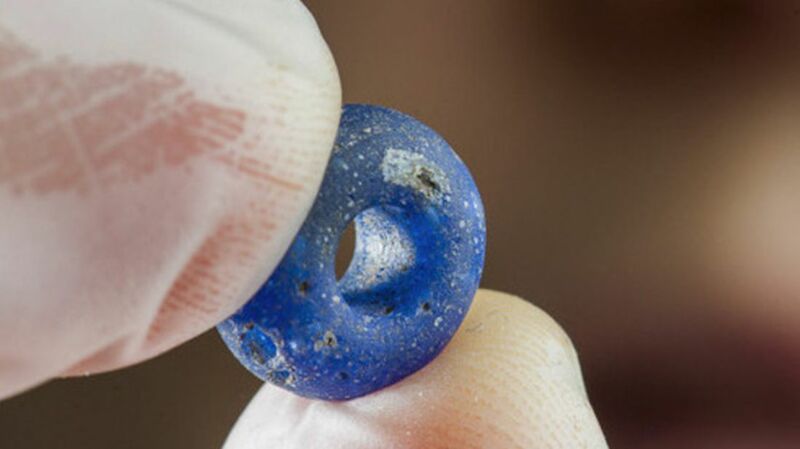 Ahead of the expansion of the Ørland Airport in Norway, the site’s pre-construction excavation turned up an exciting haul of ancient goodies that can be traced back 1500 years. Among them were the remnants of a settlement predating the age of the Vikings. One notable find made by archeologists from the Norwegian University of Science and Technology Museum were post holes for three “longhouses” where villagers may have congregated, paid tribute to their chieftain, or stored food. The discovery that has researchers most excited is the large garbage pits, or "middens," found beneath the site. Picking though the villagers' ancient trash can offer important insight into their way of life, including their diet and fashion choices. Some of the more notable items uncovered from these trash piles include pieces of jewelry and a shard of green glass from a goblet that was likely made in the German Rhine Valley, which indicates that the village was relatively wealthy. This marks the first time that midden materials this old have been excavated in Norway. The Iron Age artifacts are also remarkable in that they’re so well preserved. Researchers attribute this to the fact that the villagers buried their trash in sand with low acidity, so it didn’t decay as rapidly as it might have elsewhere. Archeologists have long been interested in exploring the Ørland area, and it was only last year, when the airport announced its expansion, that they finally had the chance to do so.